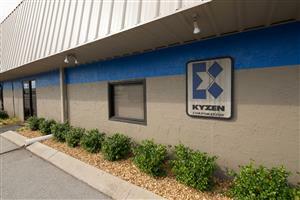 KYZEN was founded in Nashville, TN on April 1, 1990. Our global headquarters operation provides end to end services for our customers, including: a world class full line manufacturing facility, state-of-the-art Research & Development Laboratory, award winning customer service and technical support. Our Nashville location also houses the industry’s first and fully equipped Applications Laboratory utilized for customer process qualifications, product development and contract cleaning. Our Nashville facility leads the industry in capabilities and more importantly results. FROM NASHVILLE INTERNATIONAL AIRPORT Follow airport exit ramps to Donelson Pike (turning to the right onto Donelson Pike.) Donelson Pike crosses Murfreesboro Road and dead ends into Harding Place. Keep to the right on Harding Place. Turn right at the first set of traffic lights. This is Harding Industrial Drive. Turn into the 5th building parking lot on the right. KYZEN’s main entrance is the third door from the right. FROM DOWNTOWN NASHVILLE Follow I-24 East toward Chattanooga Exit at Harding Place off ramp, turn left onto Harding Place Follow Harding Place to Harding Industrial Drive at the 4th stop light. The light is the one past Sam’s Wholesale Club (on the right) Turn left onto Harding Industrial Drive. Turn right into the 5th driveway. KYZEN’s main entrance is the third door from the right.